Light and airy. Hallmark top range quilt’s inserts are filled with white 80% goose downs and 20% feathers. Both are covered by tight-weaved 620 thread-count pure cotton. Hems are double-stitched and piped for added quality. The airy material is perfect to stay cool during hot summer weather and keeps you comfortable when you sleep. This light quilt is airy and perfect for summer. Its fibers are porous that allow air trapped inside to breathe. Unlike 100% polyester quilt, this quilt fabric is 100% cotton in high-thread count. You could immediately sense its natural cotton smoothness and comfort whenever you use it. The pillow for every posture This is the pillow that you need for all your bed and living rooms. Use it in different ways for sleeping, lying and sitting on your bed, sofa in many different relaxing postures. It supports your head head, neck, back, belly, buttock, thighs and legs with its ergonomic design. Haus De Linen Neosilk Quilt features a 100% Soft Microfiber on its outer cover with 100% Microtech fiber filling. Together they provide a comfy rest enhanced with silky touch and soft feel. 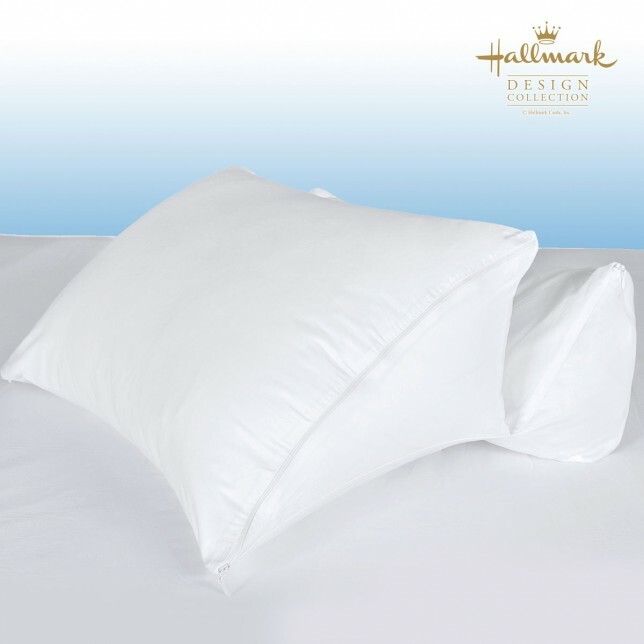 Sleep soundly with this Deluxe Gel Filled Loft pillow, boasting a gel liked microfibre core surround by loft panel for ultimate support and exceptional comfort. Finished with luxurious 300 TC cotton sateen cover. This light quilt is airy and perfect for summer. Its fibers are porous that allow air trapped inside to breathe. Unlike 100% polyester quilt, this quilt fabric is 100% cotton in high-thread count. You could immediately sense its natural cotton smoothness and comfort whenever you use it. It provides just the right coziness for all year round.